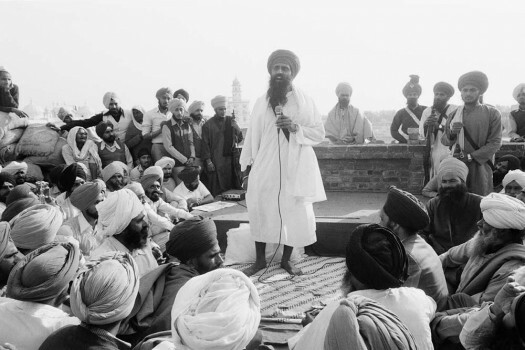 On the day Bhindranwale was declared killed, I, a Hindu stranger, was at his house. 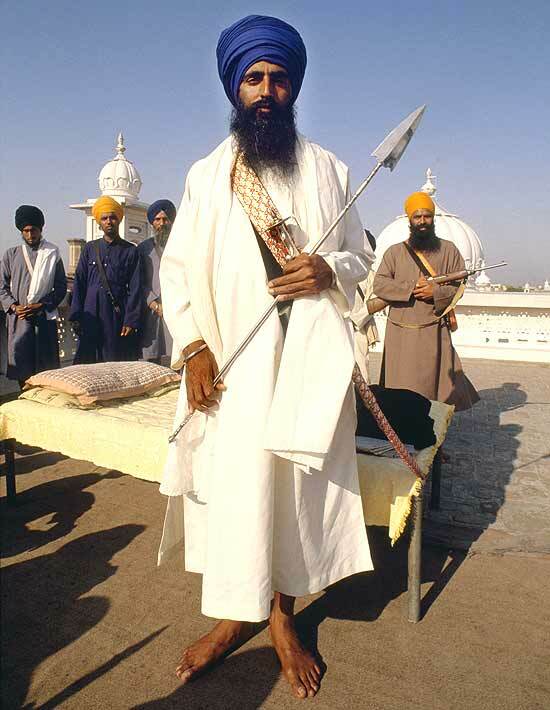 No one killed me for looking Hindu, but Sikhs in Delhi were massacred for being Sikhs. Will a memorial meant to assuage the Sikhs end up inflaming old sentiments? A memorial for Op Bluestar ‘martyrs’? Many Sikhs in Canada nurse the wounds of 1984. India must not see them all as separatists. Will there be a relook at the Sikh ‘blacklist’? L'affaire Dera Sacha Sauda only highlights the terrorist calculus in Punjab: that at some stage, a convergence of political incompetence, an emotive public issue, and public discontent will abruptly catalyse a resurgence of terror. A vast number of Indians polled were of the view that Indira Gandhi was the best Prime Minister this nation ever had. Faith in the dynasty's ability to revive Congress deserves respect because, quite possibly, it reflects the majority view. Enduring Freedom Or Enduring Musharraf? Under the US leadership, the so-called war against terrorism has essentially become a war against Al Qaeda, but there are other adversaries too. To win against them all, US has to realise that freedom and Musharraf do not go together. 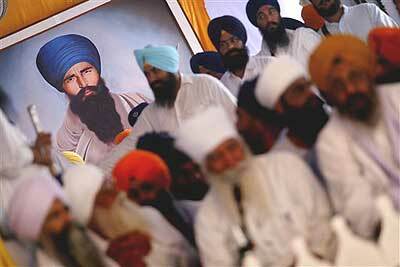 There is a combination of factors that suggests that 'declaration of martyrdom' of Bhindranwale should not be viewed in isolation, and that there is, in fact, a concerted pattern indicating that mischief is afoot once more. L'affaire Mutalik brings us to the issue of how much coverage for incidents like this. Also, is the media willingly or unwittingly turning into a PR wing of such ragtag vigilante groups? Is media's over-enthusiasm proving totally counter-productive? The media, in all sincerity, should come up with a policy prescription for itself to ensure that its coverage does not achieve the exact opposite of what it intends to establish. After all, this year's Valentine's Day was the least colourful in recent times and strangely, the media ensured that it was so. Ironically, the media outdid Mutalik in this endeavour. 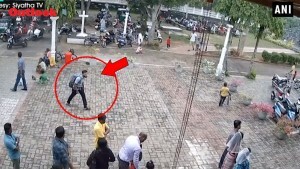 There is another deeper media issue involved in the Mangalore pub attack-coverage. Why was the media, the more sedate and supposedly more balanced print media included, utterly disinclined to inform the readers about Ram Sena's antecedents and its running battle with the Sangh Pariwar? 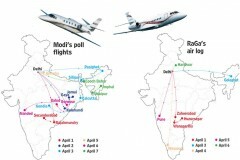 Also, the media chose to ignore the fact that there were some local Congressmen among the Ramsena funders. Questions like whether Mutalik was deliberately being modelled into a Hindu Bhindranwale to embarras an unfriendly dispensation at Bengaluru, just as a similar exercise is on to establish Raj Thackeray as the real representative of Maharashtra pride, have never been probed by the media. Ram Sena's run-ins with RSS are only too well-known even to the general public in Mangalore. Why did the media fail to see the obvious? Is there a deeper and hidden agenda?